Welcome to our webpage for 2017/18. We will also be learning how to classify animals in science and learning about the life cycle of a butterfly. KIRF challenges are on a Wednesday. Use these games to help you practise. Class 2 will be 'out and about' this half term - investigating how plants grow, identifying trees and plants in the school grounds and exploring the local area in order to create a map. We shall also be studying the beautiful work of Georgia O'Keefe in art and all of our work in English will be inspired by garden based books! In art, we have been learning about the work of Georgia O'Keefe. We looked carefully at lots of her paintings and observed what we noticed they all had in common. We then replicated some of her work before using her style to create some of our own flowers! In computing, we used a paint program to create some of our own digital art flowers in the style of Georgia O'Keefe! We have been learning the names of common plants in science and learning how to identify them. In science, we have been learning about which parts of plants are edible! We then created our own completely edible plant and gave it a funny game! Have a look at some of our creations below. This half term Class 2 will be thinking about how we can make a difference to ourselves, to other people, to animals, to the world around us and to our school retreat garden! We will also be learning about the stories of Easter and Holy Week and thinking about the diffrence that Jesus made. As part of our D&T project, we designed and created our very own bird feeders to help make a difference to our gardens at home. They're bright and colourful to hopefully attract lots of birds! Class 2 won the skipping competition on February 27th! I would like to say a big well done to everybody in Class 2 for their fantastic participation. You all tried so hard and performed your new skipping skills brilliantly! I'm really proud of all of you and am looking forward to the final with you in June! Keep practising those skipping skills at home! They Day Class 2 Tried Shrinking Spray! 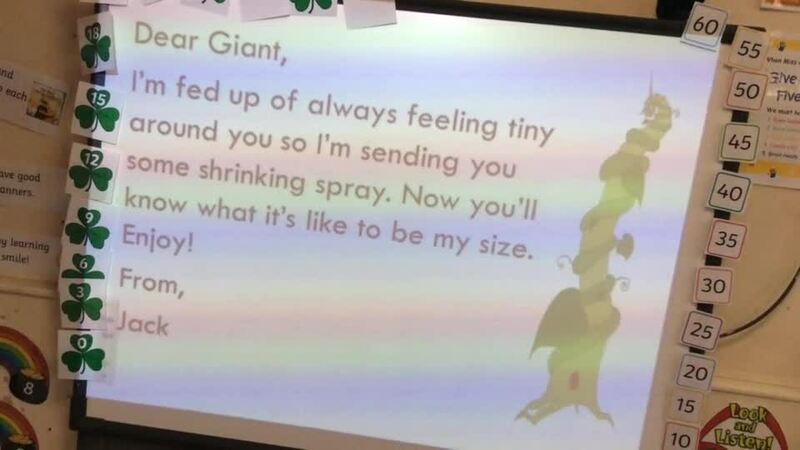 Class 2 stumbled across a letter for the giant from Jack! Jack had also sent him some shrinking spray which we tried! Have a look at what we got up to when we shrank to the size of a pea! KIRF challenges are on Wednesdays. 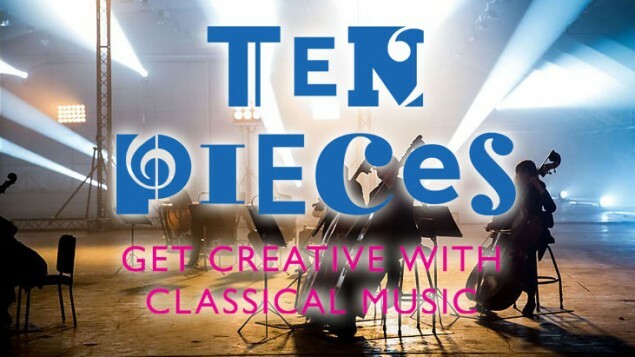 Use these games to help you practise. Class 2 will be ‘connecting up’ and adventuring to the North and South Poles! We shall be learning about the Arctic and Antarctic and how they differ from where we live. We will also be learning how to write postcards and letters as a way of connecting with other people. We had a visit from the Road Safety Team at Leeds City Council. They taught us how to be safe when on or near the roads and about the green cross coad: Think, Stop, Look, Listen! We then went outside to practise using the green cross code when crossing the road. In science, we have been learning about how animals are suited to living in different habitats. We found out that polar bears have a thick layer of blubber to keep them warm in the freezing Arctic! We tested this by putting our hand into a layer of 'blubber' and then putting it in some cold water. It was much warmer with the blubber! As part of our Polar Regions topic, we were given the challenge of making an ice house out of some mini marshmallows and cocktail sticks! There were some super ideas for designs and it also helped us to revise our knowledge of 2D and 3D shapes as we built them. Have a look at them below! In English, we have been writing some non-fiction report about arctic foxes. We used the internet and a selection of BBC videos to help us learn lots of different facts about them. The video below was one of our favourites! It made us all laugh! This half term, Class 2, will be learning about the wonders of our bodies and food! Throughout the curriculum, we will develop our skills of problem solving and questioning. We shall also be learning about the wonders of Christmas and practising for our school nativity, 'Jesus' Christmas Party'. A very big well done to everyone in Class 1 and 2 for their fantastic performance of Jesus' Christmas Party. You all performed brilliantly and we are very proud of you. We visited Jamie's Italian and York's Chocolate Story earlier this month to support our learning in D&T. We had such a fantastic day! At Jamie's, we learned about all the different types of pasta, learned how the pasta machine worked and then had a go at making our own stuffed ravioli! It was great fun! Then we went to York's Chocolate Story where we learned when chocolate was first made, how it is made and then made our own chocolate lollies. We also had lots of tasters along the way, yum! Have a look at some of the photos below! We used a selection of different fruits to make our own faces! We ate them afterwards and they were delicious! Lots of us tried fruits we hadn't eaten before! We learnt about the Italian artist, Arcimboldo who used to paint portraits using fruit, vegetables and plants! We then created our own. How many different fruits and vegetables can you see in each one? In science, we have been learning about different body parts and our senses. We worked in small groups to label different parts of the body. This half term our learning will be linked to the big story of the Bible. In RE, we will be looking at an overview of the Bible and the sequencing of events. In particular, we will learn about the story of creation, considering what we appreciate most. We will then look at Jesus' arrival and think about the good news he brought. A selection of parables will be read in English lessons to inspire some of our writing and in geography we will learn about and locate some of the places that Jesus visited.